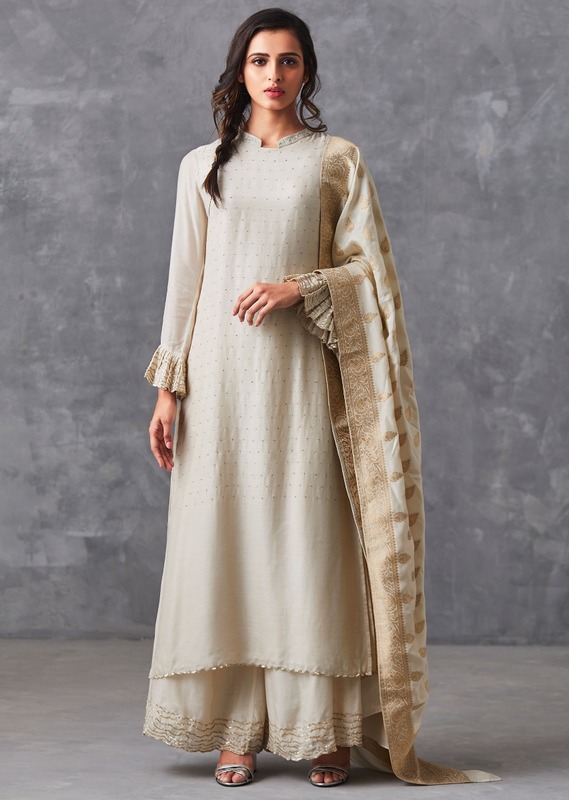 Ivory straight suit featuring in cotton silk with abla work all over . 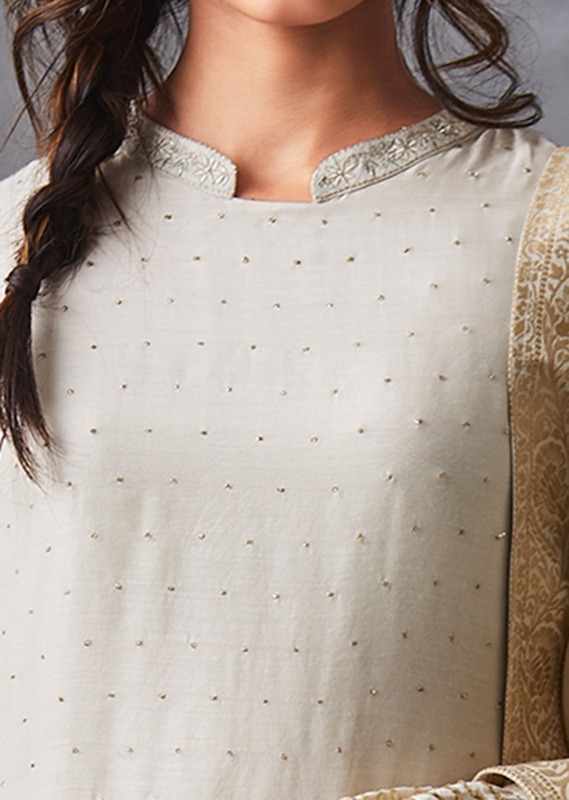 It comes with standing collar and frilled sleeve in sequin work. Matched with cream palazzo pant and dupatta in cream banarasi silk.